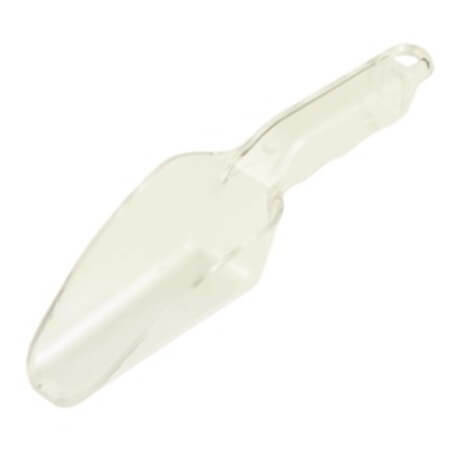 Scoop up savings with this 6 Ounce Polycarbonate Scoop. Great for use in a restaurant, cafeteria, deli, candy shop, yogurt shop. natural food store, and that is just the beginning. Holding just under a cup when the scoop is full to the top you can use this utensil to fill bins, put ice in cups and pitchers, and measure out flour and other baking ingredients when baking in larger batches. 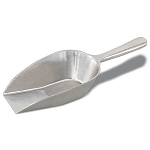 Customers will also find this sturdy scoop helpful when they shop from bulk bins to be able to help themselves to just the right amount. 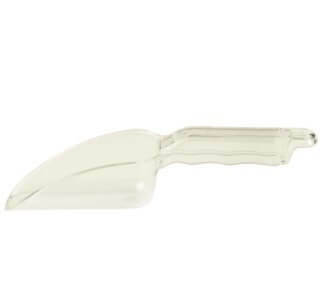 The handle is made with grip marks which make it easier to hold and serve up your products, especially ice since your hands can get really cold after a short while and it can get hard to hold onto much at all with frozen hands. Incorporate this tool into your location for a much easier way to sell your goods. Display next to bulk candy jars to make access a breeze, include with candy buffets at events, and keep in your home for dishing up animal food from big bags. 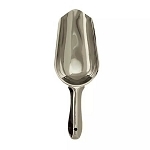 There are so many ways this scoop makes life easier and it is a great product at a great price. 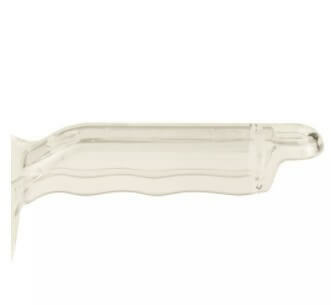 Order your polycarbonate scoops today!